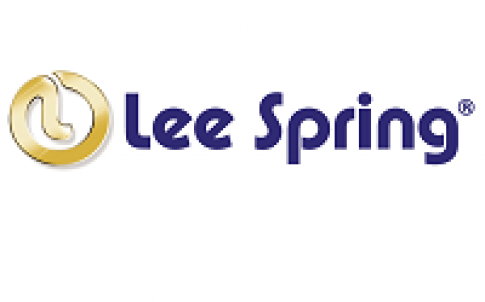 compression spring design and general considerations – white paper - .PDF file. The dimensions, along with the load and deflection requirements, determine the stresses in the spring. When a compression spring is loaded, the coiled wire is stressed in torsion. The stress is greatest at the surface of the wire; as the spring is deflected, the load varies, producing a range of operating stress. Stress and stress range govern the life of the spring. The higher the stress range, the lower the maximum stress must be to attain comparable life. 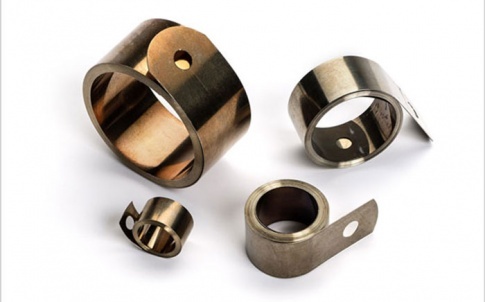 Relatively high stresses may be used when the stress range is low or if the spring is subjected solely to static loads. 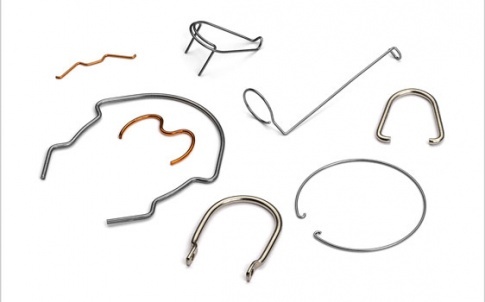 …with over 16,000 different types of round wire compression, die, extension, torsion springs and disc springs. 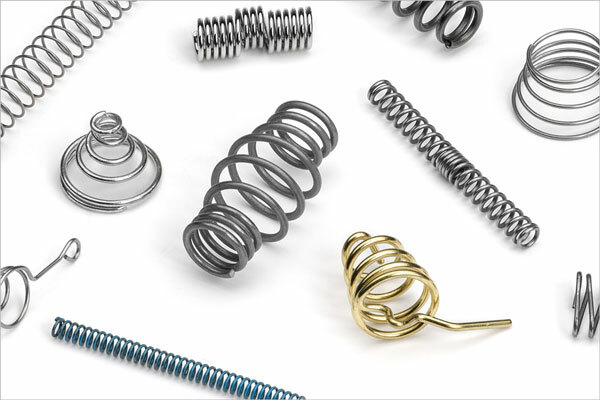 Our portfolio of products amounts to literally millions of springs – more stock, more choice and more product lines than any other spring supplier in the UK. All are available for despatch on the day you order them. 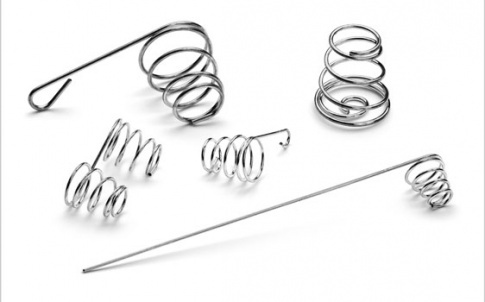 Our spring ranges reflect the most commonly requested sizes but we also offer a range of specials including conical springs, swivel hook springs and drawbar springs. 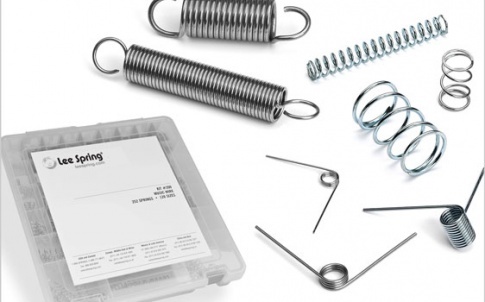 As always the range is supplemented by a custom spring design and manufacture service as well as selected spring kits. Our quality system is assessed by and registered with Bureau Veritas Quality International to the requirements of BS EN ISO 9001:2000 – certificate number 5692. This approval is the cornerstone of our service and commitment to total quality management. Batch traceability is a standard procedure on all orders, regardless of quantity. Batch codes are fixed to all packages prior to despatch – the same coding appears on customers’ packing notes and our file records. Full traceability is achieved from raw material in-take to finished products. Certificates of Conformity are available. We are happy to offer discounts on large orders. It is also worth noting that you do not necessarily have to take your entire order in one delivery. You can total your requirements and place a scheduled order and still receive a price reduction. Whether you are ordering one spring or thousands we welcome every enquiry and each order receives the same professional service. Order Today Despatch Today, that’s our service. 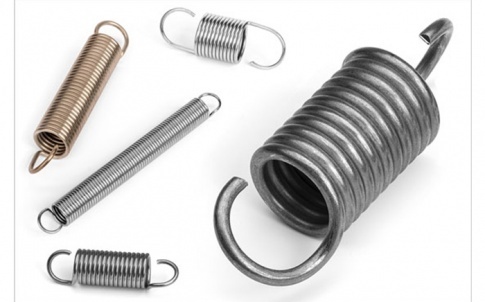 Whatever your requirements for springs, from repairs to development, small prototype batches or production quantities, we can help you with your selection. If you are a new customer we will open an account immediately. Credit Card facilities are available.